The sound of the rainfall, the smell of the freshly soaked sand, and tangy snacks together make the perfect monsoon evening. If you are also a lover of the rains and the monsoon season, then you have come to the right place. To help you make the most of this wonderful monsoon season in India, we have come up with a handpicked list of some of the best monsoon songs. Besides that, we have also included some yummy monsoon food that you should make this season. 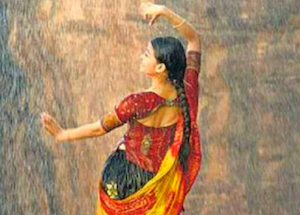 Hindi music has been inspired by monsoon for a long time. After all, who doesn’t love the rain and the natural beauty of it? To amplify the essence of this season, you can listen to these timeless songs related to monsoon. Sung by Sobha Mudgal, this is one of the most iconic Monsoon season songs. While it has been over a decade now since the song was first released, it still resonates with a lot of people. The song is known for its upbeat music and powerful vocals. Monsoon is known to be the most romantic season of all. To set the perfect ambiance, play this legendary song. Sung by none other than Ustad Sultan Khan and Chithra, it has a soothing melody that will compliment the sound of the rain. Taal is considered as one of the best works of A.R. Rahman so far. While the movie had tons of memorable songs, Nahi Samne was an understated classic. It has a soulful video with just the perfect feature of monsoon in it. Capturing the lively spirit of the monsoon, Cham Cham is an upbeat song from the movie, Baaghi. It features Tiger Shroff and Shraddha Kapoor, a well choreographed dance performance, and tons of rainfall. Barso Re is another gem, composed by A.R. Rahman. The song is from the movie, Guru, which features Aishwarya Rai and Abhishek Bachchan. The monsoon video song is quite colorful, which goes well with its upbeat music. Love You Zindagi is a happy-go-lucky song from Dear Zindagi. The song is all about overcoming obstacles and living our life to the fullest. Needless to say, it reflects the spirit of monsoon quite aptly. When we talk about dancing in the rain to Bollywood music, this is the first song that comes to our mind. From the movie, Dil Toh Pagal Hai, the Bollywood monsoon song features Madhuri Dixit and Shahrukh Khan dancing to a melodious song. Tum Se He is a fun and peppy number from the movie, Jab We Met. It will certainly make you dance carefree just like the protagonist of the movie as well. The song has a perfect element of the rain, making it one of the most timeless monsoon movie songs. Bheegi Bheegi Raaton Mein is one of the best monsoon rain songs and the finest works of Adnan Sami. The song is entirely based on the element of rain and takes inspiration from it as well. It was released almost a decade back and is still loved by many. From the movie Jackpot, Kabhi Jo Badal Barse is a romantic track that you would love to play during the monsoon season as well. With the right kind of monsoon recipes, you can certainly enjoy the rainy season in the best way. Here are some of the suggestions to get things started. With a cup of chai, the world seems like a better place. This monsoon season, learn how to make a masala chai and have it with some of your favorite crispy snacks. Pakoras and monsoon are considered as the best combination for every Indian. These crispy and tangy marinated onion rings certainly make the best snack for this season. Even if you are not an expert in cooking, you can easily make this personal rendition of Maggie (instant noodles). Feel free to add some of your favorite ingredients to customize it. If you want to try something new and interesting monsoon season food, then go for this simple yet unique recipe. A lot of people like to have Cheela during the monsoon season. If you find it hard to make one, then simply watch this easy recipe. As you know, there are tons of romantic monsoon songs that you can listen to this season. In the same way, you can watch the recipes of numerous other Monsoon dishes as well. To get things started, download Snaptube on your smartphone. This freely available app features a wide range of video sharing and hosting platforms in one place. 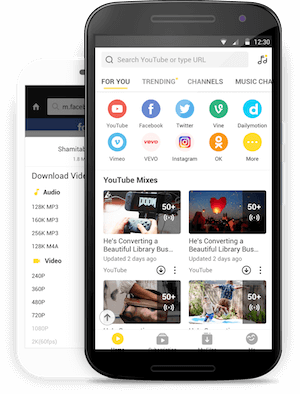 You can watch unlimited videos, listen to your favorite songs, and even save any content for offline streaming as well. In this way, you can listen to tons of Monsoon songs and learn several other food recipes. Besides that, you can also watch movies, TV shows, and other content on Snaptube for free. फेसबुक आणि व्हाट्सएपसाठी आपल्या दिवाळीसाठी पुढील स्टेट्स निवडा.